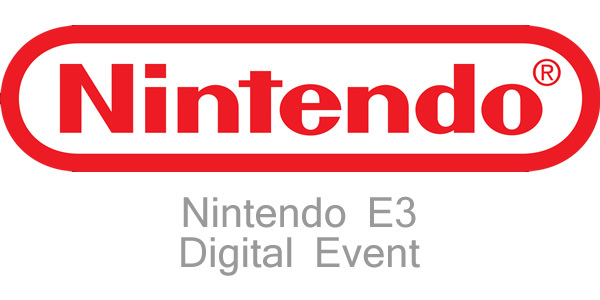 As has become a custom in recent years, Nintendo has decided to forego a large on-stage presentation and has opted for a digital event during E3 instead. The aptly named ‘Nintendo Digital Event’ was aired earlier today and opened with an animated stop-motion Reggie Fils-Aime, the President and COO of Nintendo. He stated that no new Mario title would be announced and introduced a video featuring his real-life likeness battling against Satoru Iwata, Nintendo’s CEO. The video set the stage for Super Smash Bros., in which Miis will be available as combatants. Masahiro Sakurai from developer Sora Ltd., explained that the idea to have Mii fighters included in the the Smash Brothers series has been around for a while, but was always decided against because it didn’t feel right to have these characters fight one another. For Super Smash Bros., the Miis have been overhauled to fit this role better, and will be available in three varieties: Mii Brawler, Mii Swordfighter, and Mii Gunner. Each of the three types will be treated as a separate combatant, and players will be able to select special moves for each of them. The 3DS version of the game is approaching its launch date of October 3rd, 2014, and is currently undergoing testing. The WiiU version of Super Smash Bros. will release during the holiday season. Reggie Fils-Aime then introduced the Amiibo line of products, which allows players to bring physical Nintendo figurines to life in their video games via the near-field communication feature embedded in the WiiU gamepad, and Super Smash Bros. for the WiiU will be the first game to have this functionality. The functionality will also be implemented in the recently-released Mario Kart 8, though no additional information on that was made available. The presentation of Amiibo was followed by the presentation of a new installment in the Yoshi franchise by Takashi Tezuka from Nintendo and Etsunobu Ebisu from the Good-Feel Company. The game revolves around yarn and cloth in a manner somewhat similar to Kirby’s Epic Yarn, allowing the player to unravel threads and use strands of yarn to overcome obstacles. The game also includes a cooperative mode in which two Yoshi characters appear on-screen. Yoshi’s Woolly World is scheduled for a release in the first half of 2015, and the video introducing the game is available here. Captain Toad: Treasure Tracker, a new platforming-adventure game was unveiled and confirmed for the holiday season of 2014. The short clip can be viewed here. The presentation was continued by Eiji Aonuma from Nintendo, who announced a new Zelda title for the WiiU. He showed a vista currently in the game, adding that the game would be open-world and allow players to travel to everything they can see in the world. One of the most important conventions in the franchise is that even though the world looks peaceful, strong enemies may still appear. The video that followed showed a close-up look of the new Link, but is currently not available online. The game has not received an official subtitle yet, and is slated for a release in 2015. An announcement for Pokémon Omega Ruby and Pokémon Alpha Sapphire followed, indicating that both titles would launch on November 21st, 2014 for the Nintendo 3DS. This in turn was followed by a trailer for Bayonetta 2, currently in development at Platinum Games. The trailer can be viewed here, and also revealed that the original Bayonetta would be included with a purchase of the sequel. Bayonetta 2 will be released this October. Hisashi Koinuma from Tecmo Koei continued the presentation with an introduction to Zelda: Hyrule Warriors. The game is set to release on September 26th of this year, and will feature a cooperative mode where one player controls a character on the TV and another plays using the gamepad, rather than a classic split-screen experience. Link, Impa, Zelda, and Midna have been confirmed as playable characters, but many more are included. A new Kirby game called Kirby and the Rainbow Curse was announced for 2015 by means of a short trailer that can be viewed here. Following that, a cinematic trailer for Xenoblade Chronicles X was shown, which is also also scheduled for a release in 2015. That trailer is available here. Mario Maker a game that lets players create custom mario courses, will also release in 2015. Hisashi Nogami, Yusuke Amano, and Tsubasa Sakaguchi from Nintendo revealed a new game called Splatoon, a 4-on-4 online multiplayer action game. The game revolves around capturing territories by spraying it with ink. Players take on the role of an octopus disguised as a human, and can switch between human and squid forms on the fly. As a human, they can spray ink and capture territory, while their squid form allows them to travel around faster. A gameplay trailer was included, which is available here. Splatoon is releasing in 2015. The presentation ended with a teaser for Super Smash Bros., revealing that Lady Palutena and Dark Pit from the Kid Icarus franchise will be available as a playable character.